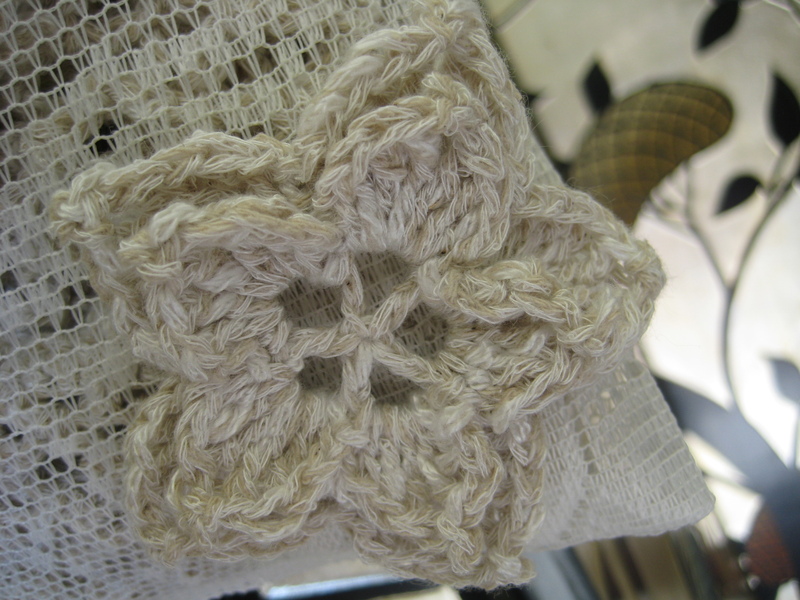 I like the round petal flower I usually make a lot but I wanted to make a flower which had pointy petals to reflect the picot edging of the scarf I recently made so that they went together. Here’s what to do if you want to make one the same. I used a 3mm crochet hook (to match my yarn). Row 3 is worked behind the petals just made to make the chain spaces for the second layer or petals. 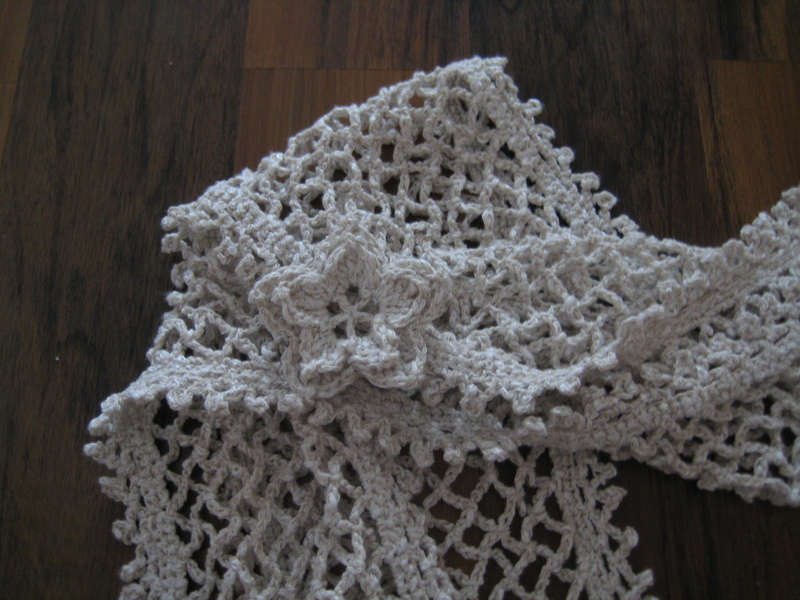 This is similar to Row 3 on my triple layer petals flower if you want to look at some helpful photos. Row 4: ch1, sl st in next ch sp, ch 1, * hdc, dc, 2tr, dtr, ch2, sl st into 2nd ch from hook, dtr, 2tr, dc, hdc, repeat from * into next ch space 4 times, join with a sl st into first hdc and fasten off. Weave in the ends. Use the tail to secure a brooch back or safety pin if you are making a brooch. Block out the points if desired. The flower matches the scarf! That is so lovely, what intricate work. One of these days, I’ll learn how to crochet. I’ll put this on my pinterest board.